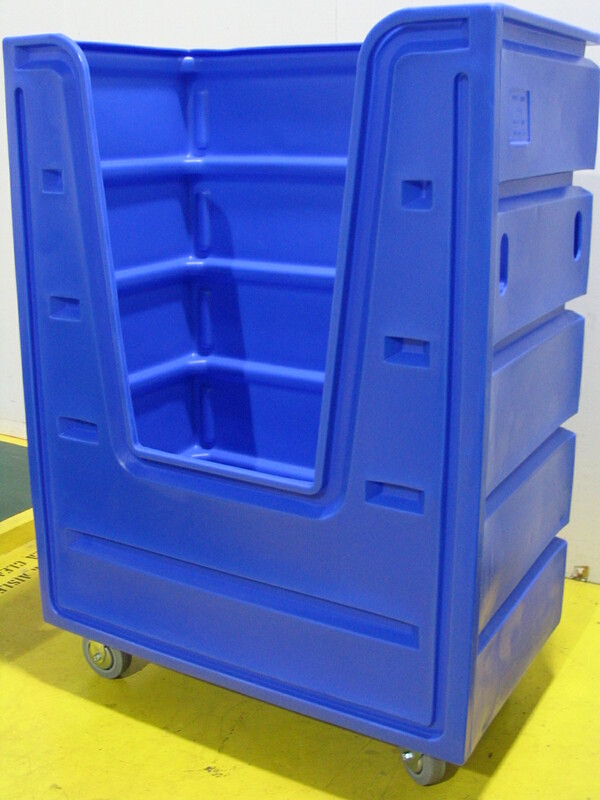 Our 72S bulk delivery cart is one of our newest carts to be introduced. This model features rounded corners and larger inner ribs. This new ergonomically designed model has superior strength, durability, and versatility. Comes in choice of body color — 17 different colors to choose from (or choose our recycled polymer –no color choice — for additional cost savings).